Lipids are often referred as the collection of “fat” molecules that can be endogenous or exogenous. They have essential functions and roles in humans from energy storage to cell signaling, to name a few. BioVision is proud to offer a complete portfolio to study lipid-related research. Our assay kits can be used to elucidate processes governing cellular biology, and cardiovascular-disease research. 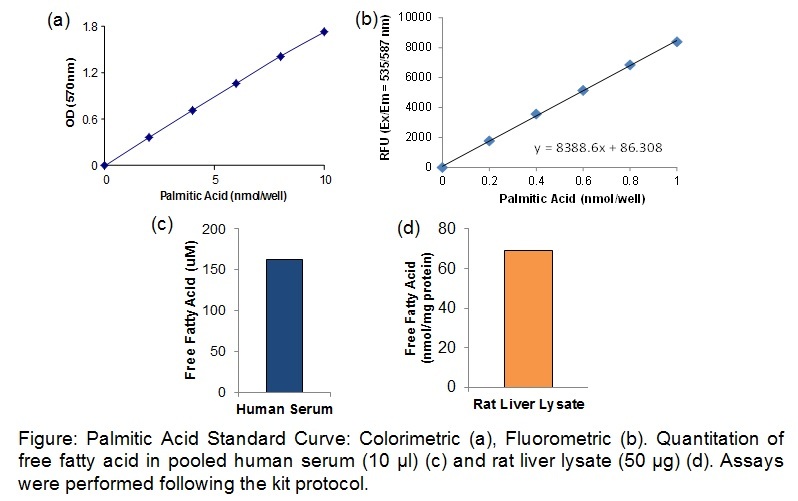 BioVision’s Total Bile Acid Assay Kit provides a simple, sensitive, and high-throughput adaptable approach to detect physiological concentration of total bile acids in a variety of biological fluids. 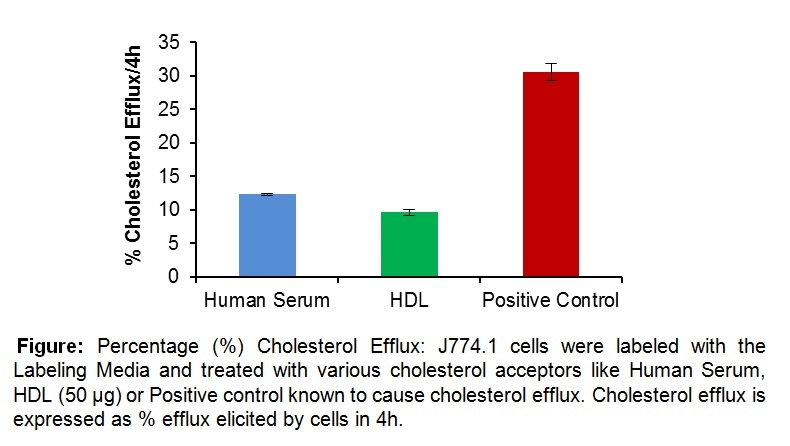 A negative correlation has been established between the in vitro to in vitro efflux of cholesterol from macrophages and atherosclerosis.BioVision’s Cholesterol Efflux Assay is a high-throughput screening assay for measuring cholesterol efflux in cells using fluorescently-labeled cholesterol. 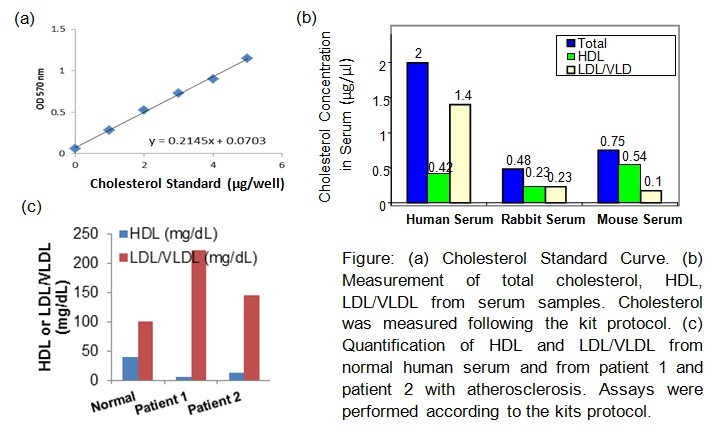 This assay provides a safe, sensitive, and reproducible method for measuring cholesterol efflux. BioVision’s HDL Uptake Assay Kit contains a fluorescently-labeled HDL that can be measured when taken up by cells. Unlabeled-HDL is included in the kit for assay validation. This assay provides a simple, easy to perform, histochemical method of identification of unesterified cholesterol. BioVision’s Sphingomyelin Quantification Assay Kit provides a simple and sensitive method for quantifying sphingomyelin using colorimetry. 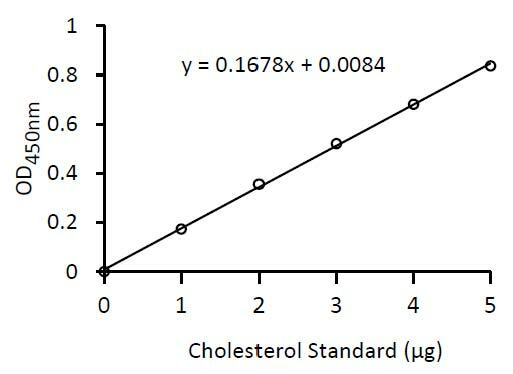 The assay detects total cholesterol (cholesterol and cholesteryl esters) in the presence of cholesterol esterase or free cholesterol in the absence of cholesterol esterase in the reaction. BioVision’s Free Fatty Acid Quantification Kit provides a convenient, sensitive enzyme-based method for detecting the long-chain free fatty acids in various biological samples. Biovision’s PicoProbe™ Triglyceride Assay kit is suitable for measuring triglyceride levels in samples, which contain reducing substances that may interfere with oxidase-based assays. The Triglyceride (TG) Quantification Kit provides a sensitive, easy assay to measure TG concentration in a variety of samples. In the assay, free cholesterol is oxidized by cholesterol dehydrogenase to generate NADH which reacts with a sensitive probe resulting in strong absorbance at 450 nm. The assay can detect free or total cholesterol. BioVision’s Glycerol Assay Kit provides a sensitive, easy assay to measure free glycerol concentration in various samples. Diabetic ketoacidosis occurs when circulating insulin levels drop to very low levels, shutting off the supply of glucose to the body. Biovision’s PicoProbe™ Free Glycerol Fluorometric Assay kit is simple, sensitive and easy to use. This assay is suitable for measuring trace amount of glycerol in samples, which contain reducing substances that may interfere with oxidase-based assays. BioVision’s Acetoacetate Assay Kit has adapted the principle with a modification that provides a sensitive method to quantitate endogenous levels of AcAc in human blood, and urine. 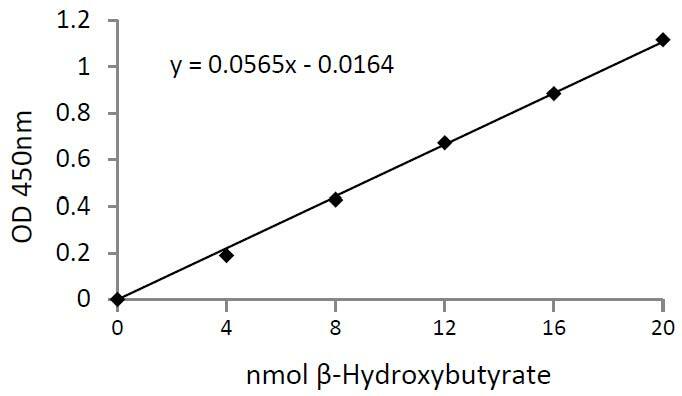 BioVision’s β-Hydroxybutyrate Assay Kit offers simplicity, enhanced sensitivity, and can be adapted to high-throughput applications. The assay is based on enzymatic oxidation of β-HB that results in generation of fluorescent signal which is directly proportional to the amount of β-HB. BioVision’s Cardiolipin Assay is a fluorometric assay that makes use of a proprietary probe that fluoresces on association with cardiolipin but not with any other lipids such as phosphatidylcholine and sphingomyelin, making it highly specific. BioVision’s EZScreen™ Beta-Lactamase Activity Assay Kit offers a simple and sensitive assay that can detect and quantify the enzymatic activity of these hydrolases. The assay is based on the hydrolysis of Nitrocefin, a chromogenic cephalosporin, that results in the generation of a colored product. The EZScreen™ assay detects total cholesterol (cholesterol and cholesteryl esters) in the presence of cholesterol esterase or free cholesterol in the absence of cholesterol esterase. BioVision’s Glycerol Cell-Based Assay Kit provides a simple, sensitive, straight-forward assay for determination of glycerol concentrations in various cell and tissue culture samples.